Most students believe that SNU prohibits social dancing, and only truly allows line dances. The other day I asked my friend Kenneth Lauver, a sophomore here at Southern Nazarene University, what the Lifestyle Covenant and student handbook said about social dancing. He was rather fuzzy as to what the exact phrasing of the rules are. I believe his answer holds a common trend amongst the rest of SNU’s student body. I remember coming to Southern Nazarene University and thinking to myself beforehand that I was giving up dancing for the next four years. Even when I came in my freshman year, the lifestyle covenant stated that, “SNU and its associated organizations do not sponsor or support social dancing.” Imagine my surprise when I attended Southern Supper and found out that a large part of the event was social dancing. In fact, if you look at what Merriam Webster’s dictionary defines as social dancing, “a group dance or couple dance done for social and usually recreational purposes,” there are plenty of SNU events that have involved social dancing. 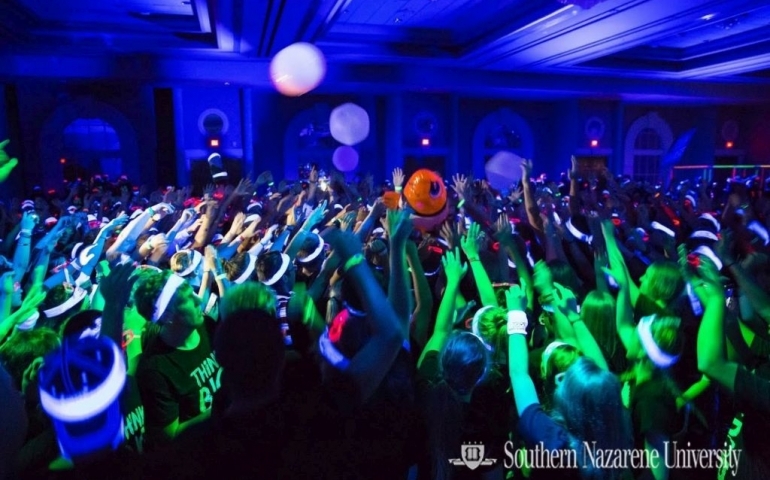 Most shocking of all was this summer at Nazarene Youth Conference where Southern Nazarene University threw a giant party/rave for nine-hundred plus students that featured group dancing (my thought here is that it wasn’t billed as a “dance” party). So what is SNU’s policy on social dancing? I went to speak with Marian Redwine, SNU’s Associate Dean for Student Life, for more insight on the topic. When I asked her about what the Lifestyle Covenant and student handbook had to say about social dancing and whether or not the rules conflicted with events such as Southern Supper or the SNU Rave, she gave me an answer I was not expecting. When I asked Marian Redwine what the reason for the change was, she claimed that the Student and Spiritual Life Committee, a committee whose duties include decisions about the Lifestyle Covenant and Student Handbook, decided to make the intentions of the Lifestyle Covenant clearer to its readers. Marian Redwine stated that, “it’s not the dancing, it’s the place where you are dancing.” The original reason for the rule on social dancing was that Southern Nazarene University, and even more so, the Church of the Nazarene, wanted to help students from making poor decisions; one of those poor decisions being, going to dance halls or clubs where the atmosphere was encouraging of un-Christ like behavior. The rephrasing of the old rule, which no longer even mentions dancing of any kind, was to express the university’s desire to encourage spiritual growth in students, not to keep them from dancing. So in conclusion, as long as the environment and the dancing isn’t spiritual detrimental, you can dance if you want to.